This week’s blog is about communication, an issue that affects our entire school community. Communication is not just about how we transfer information and keep in touch with what’s happening at school – though that’s important – it’s about how we connect with each other, about how we engage with everyone around us. I believe it’s central to how we function as a community and to how we feel about being part of the KPS community. Over my years at Kew Primary the subject has certainly come up a lot so I thought it might be time to tackle the issue for the bog. 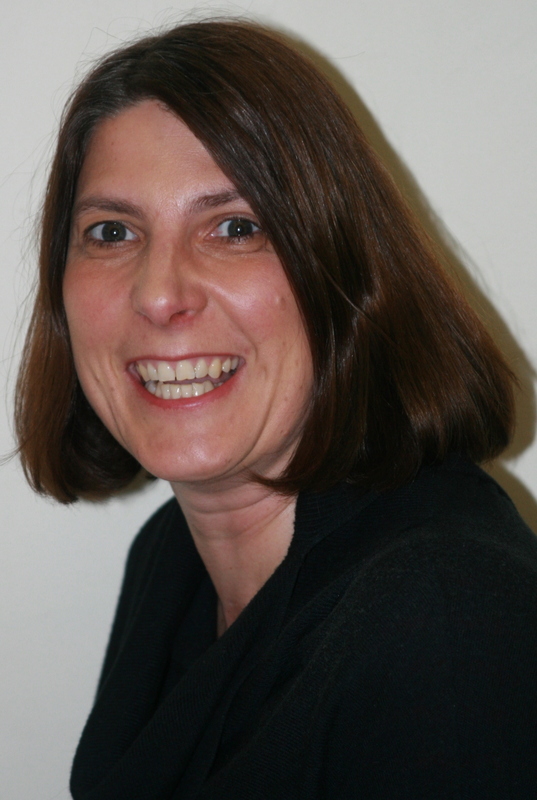 The school has a communications sub-committee which has recently taken off under the leadership of Julie Coleman. Julie has Ryan in Grade 4 and Damon in Grade 2 and in her other life she is Human Resources Director at Monash College (a subsidiary of Monash University) where she manages the HR issues associated with roughly five hundred staff. I’ve not known Julie long, but after talking to her for an hour, the phrase: If you want something done, ask a busy person comes to mind. I thought I’d start by talking to Julie about how she sees communication at KPS and what plans she and the committee have for the future. Jacqui: I think there are some things we do really well around communication and some things we could do better. Is that how you see it? Julie: Yes, I think that’s true. At the beginning of the year there was discussion at School Council about the fact that parents were looking for increased – and more consistent – communication. So to start with we decided to change the structure of the committees. 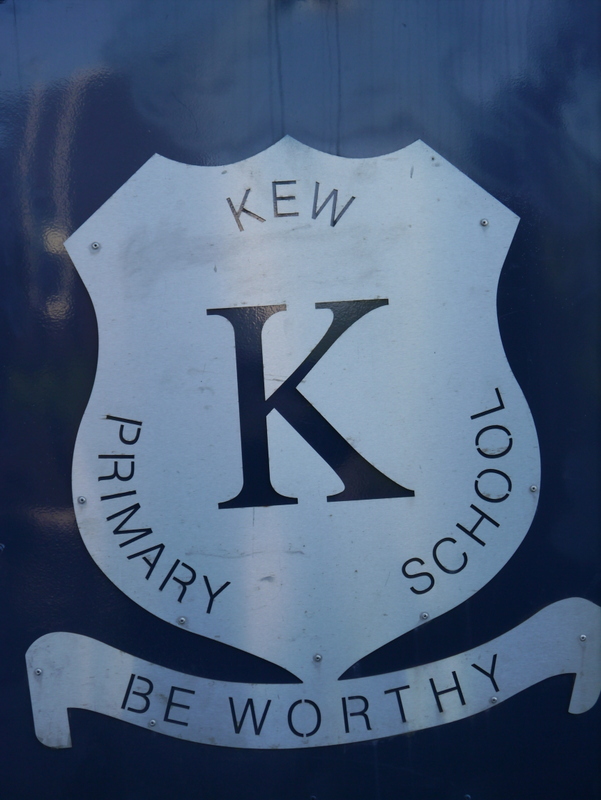 We took communication out of the Education and Policy subcommittee and established a new one, Funding, Communication and Marketing with the emphasis on building a community within Kew Primary School and the local area. We added funding –including grants, sponsorships and voluntary contributions – because we felt it was important to communicate how the voluntary contributions are used to fund different projects. Jacqui: So what has the committee done so far? Julie: Well, we’re doing two things at the same time. The first is looking at what we can achieve quickly and easily; changes we can implement that will make a small, but significant and immediate difference. The second is to develop a broad and comprehensive three year Communication Plan that will address some of the bigger, long-term issues. Jacqui: So let’s start with those small, more immediate changes. Julie: The very first thing we did was to work with Aisha in the office to send out notices to parents reminding them about the Newsletter and the Bulletin; about how they can access them and what information they contain. They are both a critically important method of communication, but only if people read them, of course! We also sent out notices inviting parents to attend Friday assembly and giving them an idea of what they could expect: curriculum updates, teachers’ news, sports results, community announcements and students’ achievements. Last week Grade 3-6 students received awards for participating in house athletics which was fantastic to watch! And the CARE Program dances are always really fun. Jayne Campbell, one of our former committee members, has had a really good look at the school website and has done a great job of reviewing the content. Jayne and Ruth, from the office, have made a number of changes and it’s now looking really good. You can check it out here. Photos of School Council members are now on the website so that parents can identify them around school and raise any issues of concern they may have. We’re also going to include a summary of the outcomes of each School Council meeting in the Newsletter so parents have a clearer idea of what is being discussed and decided. The PTA has also been putting out regular notices about fundraising events and has been getting a really great response from parents keen to volunteer. 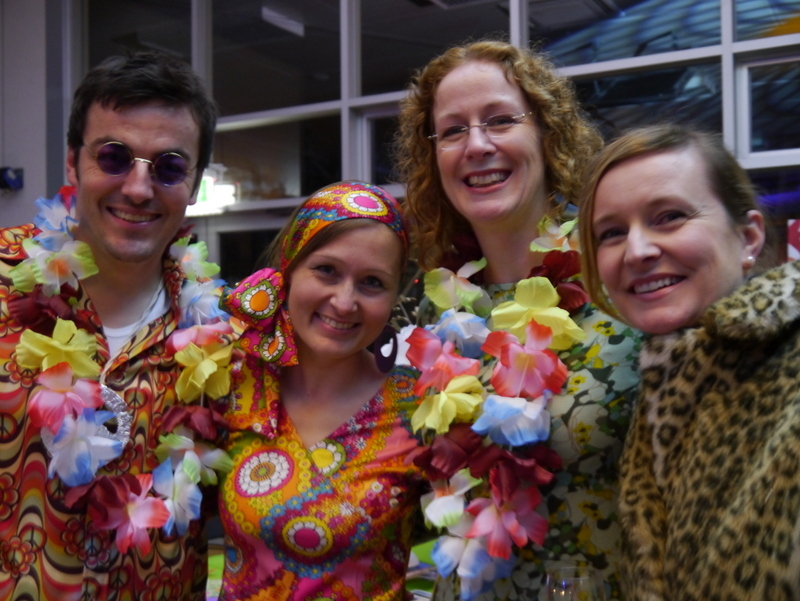 So far this year they’ve run the Flower Power Trivia Night, Mother’s Day and Father’s day stalls, the Father’s Day Breakfast, Prep Parents’ Welcome Drinks and the Peppercorn BBQ. They’ve also had a lot of interest in the Art Show they are planning for October, 2014 The Building and Grounds subcommittee have had terrific success with the last two working bees lead by Stewart Waters working closely with Robin Grace and Andrew Searle with 124 people attending, along with Channel 9! 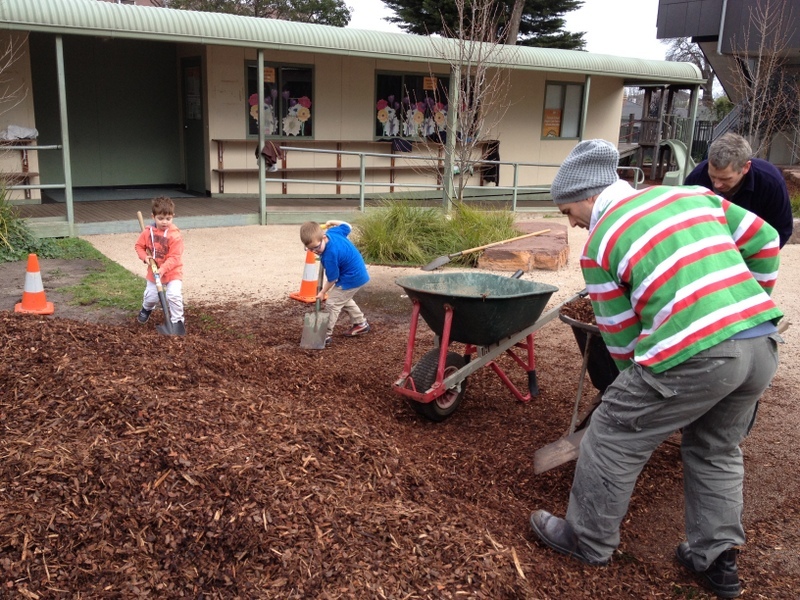 The KPS Working Bee Newsletter showcased the achievements from spreading 26 cubic metres of mulch, to building a shed in the kitchen garden. Jacqui: I know one of the things that parents love is the class newsletter from their child’s teacher. Julie: Yes. Individual class or year level newsletters are a really important link between parents and teachers. They ensure parents are able to keep up with what’s happening in class, and enable teachers to call upon parents for help or support where necessary. They include details about homework, excursions, curriculum, activities and ways that parents can support their child’s learning at home. The newsletters will go out twice a term for Prep to Grade 2 and once a term for Grade 3 – 6. The Class Reps are also a really important conduit for information between parents and teachers. Nikki McConnon has developed a set of Class Representative guidelines which have been circulated to teachers and current class reps. for feedback and will then be endorsed by School Council. They should provide individual class reps with a clearer idea of their role and hopefully result in greater consistency over the different grades. We’re also making some administrative changes so that the class lists will be available closer to the start of Term 1. Another possibility we’re exploring is setting up a buddy system for Prep Parents where we match first time prep parents with an ‘experienced’ prep parent. I think it’s really important to provide new parents with a lot of information and help them engage with school in those early weeks. The idea is that the experienced parent would provide information and show them the ropes, and hopefully overcome some of those initial anxieties that everyone has when their child first starts school. Jacqui: I’ve had a look at the School Communication Plan which I have to say looks fantastic; really well researched and very comprehensive. You’ve done a great job there. Can you tell me about it? Julie: The School Communication Plan was a joint effort with members of the Funding, Communication & Marketing Sub Committee and School Council. We are really keen to build a stronger school community through a more inclusive, transparent and consistent approach to our communications and we thought that a clear plan with objectives that spanned over a 1-3 year period would support that goal. It also gave us a chance to promote the really good things that are already happening at our school while recognising there are a number of opportunities for building on those achievements. We’ll prepare a plan to address all these issues and are keen to involve the school community in that journey. Jacqui: And what about the thorny issue of voluntary contributions? The two blogs I wrote on that subject earlier in the year generated a lot of discussion. At that stage about 35% of families had paid. Have we managed to increase that? Julie: Yes, last term we updated the voluntary contribution letters that went home to families explaining that the school only receives around 33% of its funding from the government. Many parents were surprised by this figure. The school can’t invest in any discretionary programs – cooling solutions, running track, a kiln for the art room – without increasing our voluntary contributions. To date, just over 50% of families have paid so we have increased our contribution from 32% earlier in the year which is great, but we still need to build on that. We’re hoping to get to 60% by the end of this year. I think 70% is a reasonable target for the future given the demographics of our school. Leo Arantes, another committee member, is building a barometer to record our progress so look out for it! Jacqui: You recently won a grant from the Leader Newspapers; that’s a great start. 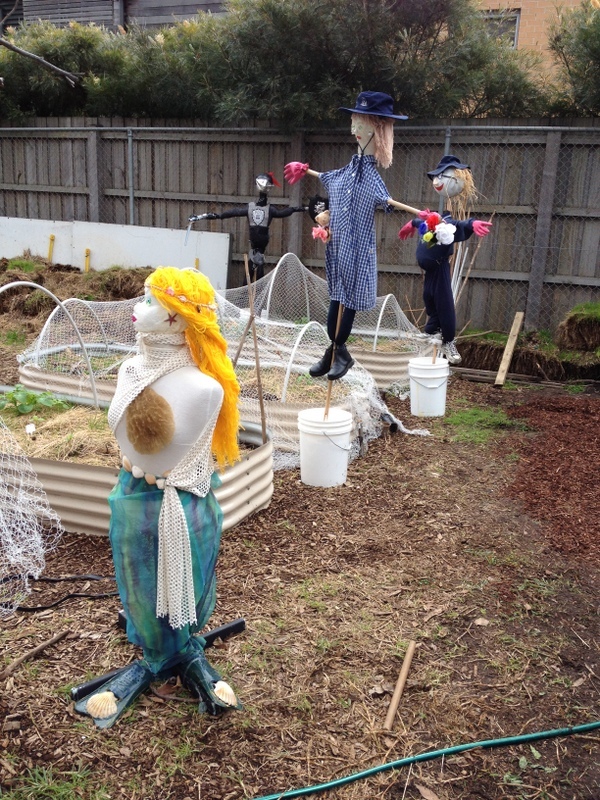 Julie: We were really pleased to receive such strong support from the Kew Primary community which resulted in our winning $1,000 towards the plumbing to connect the water tanks to the kitchen garden. This grant also resulted in a great story in the Progress Leader in July. Plus, we recently received an IBM grant of $1,500 towards the purchase of TVs to connect to IPads for Grades 3-6. We’ve applied for a number of other grants including natural turf for goal ends on the oval, lighting and sensor lights to protect the CARE chairs from vandalism at night, a running track and war memorial to commemorate past students who fought in World War 1. Jacqui: You’ve already made a number of changes and you have a great plan for the future. How will you measure whether you are on track? Julie: We’ll look for an increase in parents subscribing to the newsletter, checking the website and reading the blog. We’ll also monitor parent attendance at meetings and school functions and involvement in the PTA and sub committees. We want to increase the number of positive stories in local media – three so far this year! And, we hope to see an increase in voluntary contributions, donations and sponsorship received by the school. Will continue to do parent satisfaction surveys and respond to their concerns. Jacqui: Thanks for your time and commitment to a really important issue. I think you’re’ doing a great job. Members of the Funding, Communication and Marketing subcommittee are: Julie Coleman (Convener) Jacqui Tomlins, Claire Tanner, Leo Arantes, Janine Arantes, Jeremy Whelen, Sally Marsh and Chelsea Carmichael. This entry was posted in Fundraising, Parents, School management, Staff and tagged communication plan, community communication, julie coleman, school communication by jacquitomlins. Bookmark the permalink.